The 625T is the newest addition to the line of Cybex treadmills. This new commercial workhorse treadmill has been designed off the same platform as the 770T-CT and shares many common mechanical components. The 625T is equiped with our IS3 suspension system to precisely match the body mechanics of running. The split-level display design keeps workout profile & metrics as the user's eye level on the upper display while the lower section has a membrane with high contrast color buttons in a centralized area close to the user natural hand position with speed and incline controls at their thumbs. 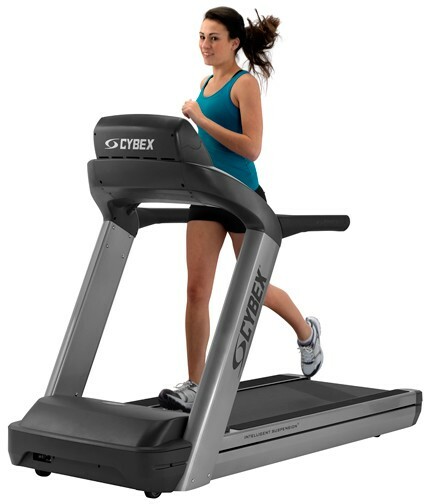 The 625T is the newest addition to the line of Cybex treadmills. This new commercial workhorse treadmill has been designed off the same platform as the 770T-CT and shares many common mechanical components. The 625T is equiped with our IS3 suspension system to precisely match the body mechanics of running. The split-level display design keeps workout profile & metrics as the user's eye level on the upper display while the lower section has a membrane with high contrast color buttons in a centralized area close to the user natural hand position with speed and incline controls at their thumbs.